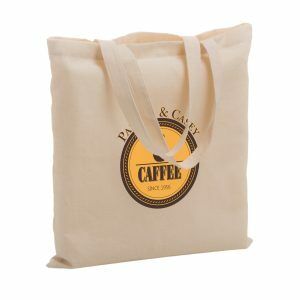 80 GSM, CLAW is a large grocery tote bag made to sit open in a grocery cart by hooking to the sides with built-in plastic clips. 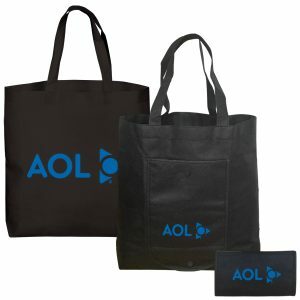 This ultimate shopping bag features an elastic band at the top of the side gussets and sewn-in bottom insert. The bag also has a hook and loop strap closure and internal pocket. The Claw Non Woven Grocery Cart Bag is a large grocery tote bag made to sit open in a grocery cart by hooking to the sides with built-in plastic clips. These reusable shopping bags feature an elastic band at the top of the side gussets and sewn-in bottom insert. See all of our other reusable bags here. The Claw Non Woven Grocery Cart Bag is a large grocery tote bag made to sit open in a grocery cart by hooking to the sides with built-in plastic clips. These reusable shopping bags feature an elastic band at the top of the side gussets and sewn-in bottom insert. 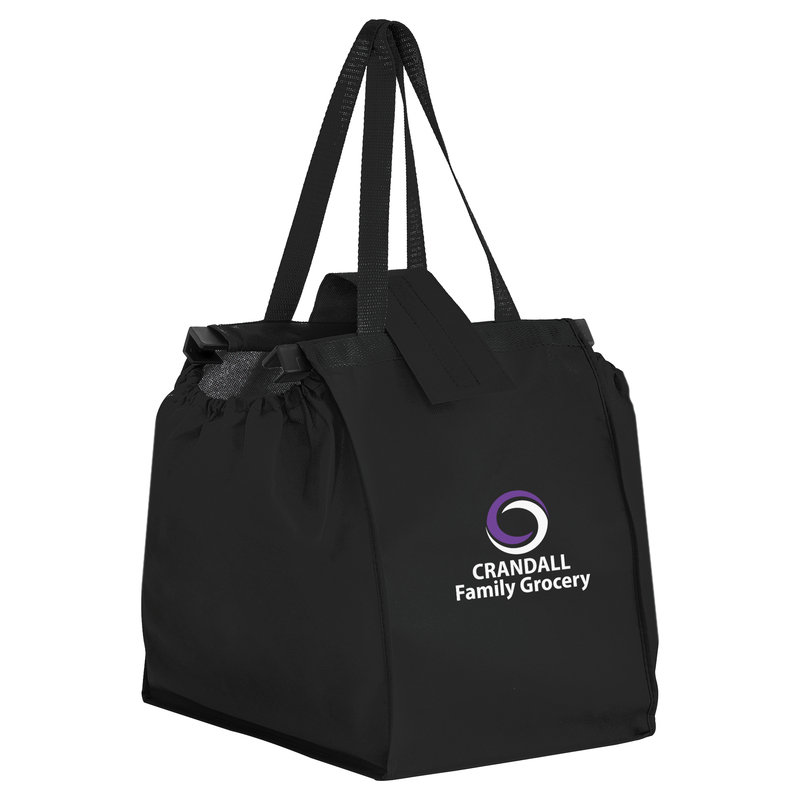 See all of our other reusable bags here. Call us today for pricing on any of our non woven grocery tote bags. Take a look at our complete line of products at customgreenpromos.com. 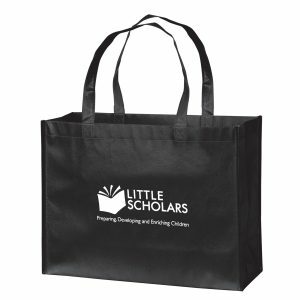 NEW | Non-Woven Grocery Cart Bag |14 x 10 x 14 | 80 GSM | Screen Print. The CLAW is a large grocery tote bag made to sit open in a grocery cart by hooking to the sides with built-in plastic clips. 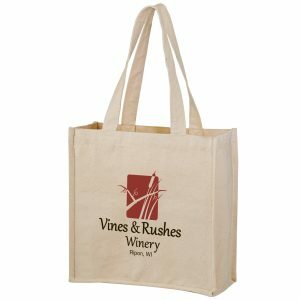 This ultimate shopping bag features an elastic band at the top of the side gussets and sewn-in bottom insert. The bag also has a hook and loop strap closure and internal pocket. Teal and Royal coming soon!